Hipermestra opens with the awe inspiring wedding of King Danao’s 50 daughters to the 50 sons of his brother Egitto. We caught up with some of the acting extras playing the brides to ask them about the experience. 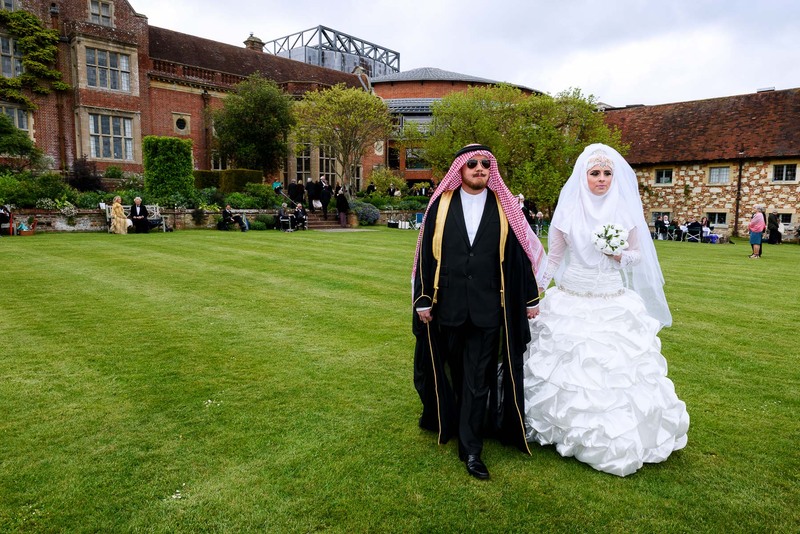 Graham Vick’s innovative production takes the action beyond the stage and into the grounds of Glyndebourne – keen eyed audience members will spot the brides and grooms wandering the gardens before every performance. Bringing characters off stage and into the grounds is unusual for the Festival. Li Lord, who plays one of the brides, says ‘It really sets the scene the minute you get to Glyndebourne, the audience don’t just walk into the opera space and see the show, we’re all walking around and we’re allowed to interact with them’. Hipermestra opening night. Photo: James Bellorini. It’s not just a case of strolling around the lawns. All of the performers have worked carefully on their characterisation as Hannah Savignon-Smythe explains, ‘We’ve been working a lot with the movement director on how to be quite lady-like and the gents to be these arrogant, bold characters’. Li adds ‘A lot of it’s very mental and internal, you have to hope that reflects outwardly. He was explaining that we need to be looking absolutely perfect as we walk, but that it has to look effortless’. After mingling with the audience outside, the extras become part of one of Hipermestra’s most impressive set pieces, the opening wedding scene. ‘It’s a fascinating experience, actually getting the chance to be on a stage that is so world-renowned, it’s just very awe-inspiring’ says Hannah. 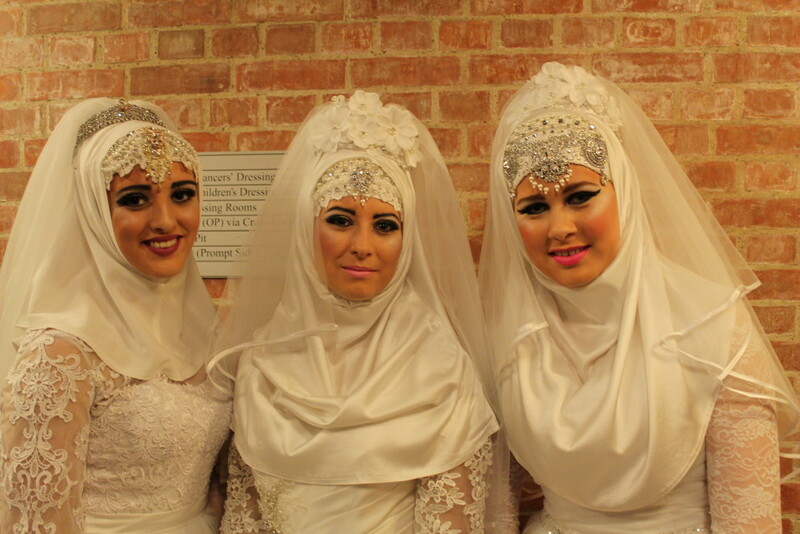 Backstage brides – Bethany Lickiss, May Abercrombie and Eleanor Harvie waiting for their moment on stage. Several of the brides started out in Glyndebourne Youth Opera (GYO) and are now making their first steps towards a career in opera singing. Bethany Lickiss, who has sung in several GYO productions including Tycho’s Dream and Seasons, has found the experience of working with GYO very helpful, saying ‘I think that GYO helps you deal with different things that you’re asked on stage. It’s made me feel able to give my own ideas too, because it teaches you not to be afraid to speak up’. May Abercrombie, who appeared in 2016’s Nothing and sang the role of Young Vixen Sharp Ears in Festival 2016’s The Cunning Little Vixen notes that ‘the directors you work with are really amazing – you hang on to every word they say’. May will also be appearing in the forthcoming Belongings, a youth opera written by our Young Composer-in-Residence Lewis Murphy, premiering on the main stage in November. May hopes to go on to a career as an opera singer – she has a reserve place at the Guildhall and will be auditioning for conservatoires. ‘Opera is definitely what I want to do,’ she says, ‘Singing all the time, I love it’. Hipermestra is on stage until 8 July.